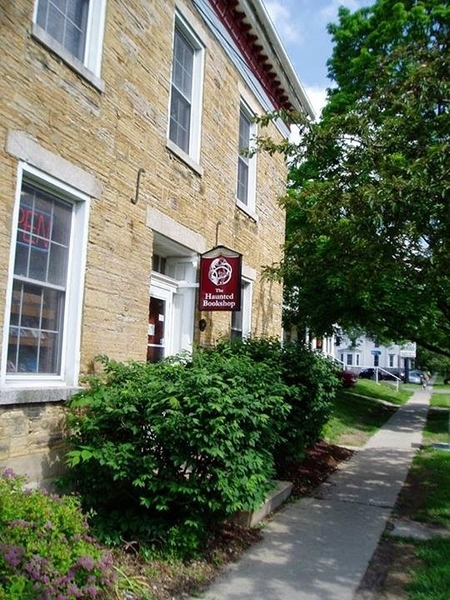 Description: Established in 1978, The Haunted Bookshop carries over 50,000 titles in more than 80 different sections ranging from Iowa interest to poetry, children's books to sociology, travelogues to history and more. The sections are divided topically, then arranged alphabetically by author or editor, in the ten rooms of our beautiful 1847 home. As of December 2013, the Haunted Bookshop is now located at 219 N. Gilbert St.